Rookie Of the Week: Sink In – Ouch That Hertz! That’s why Hershey, PA’s Sink In came as such a surprise to me. For this one, I’ll have to thank my friend, Alex, for linking me to their newest music video and single, “Castaway.” I’ll admit that, upon reading in their Facebook description that they’re a pop-rock outfit, I was skeptical at first. I was ready for the age-old copy-cat licks, riffs, and lyricism that we’ve all been so painfully afflicted with. I’m happy to say that I was dead wrong. “Castaway” tells a story of a waitress that is unhappy with her complacency in life, as illustrated by the accompanying music video, in which she is depicted as a castaway on a lonely island, standing upon the cragged rocks in a (literal) tide of turmoil. The far-too relatable lyrical telling of this story is backed up by some super smooth, bouncy instrumentals comprised of head-bopping, driving percussion and fly-away quick licks, overlays, and riffs that hook themselves deep into your brain. But possibly the most catching thing about this track is how the raw emotion captured within this song, through which SInk In has cleverly and carefully orchestrated through its non-intrusive and layered instrumentation, accessible and empathetic lyricism, and actual, refreshing diction (seriously, I’m tired of listening to mush-mouths that can’t seem to even begin to form hard T’s because they’re too busy singing through their nasal passages). It’s very apparent that Sink In is taking their own words to heart and that’s what marks them as our designated “Rookie of the Week.” Their release of “Castaway” marks a turning point for the band as they embark on a future full-length, building the flames and the heat of their own intense fire, which may one day continue to grow and expand until it stretches across the sky. Just when you thought you could define the sound of modern pop-rock, Sink In surfaced with their refreshingly ambient and technical twist to the genre. 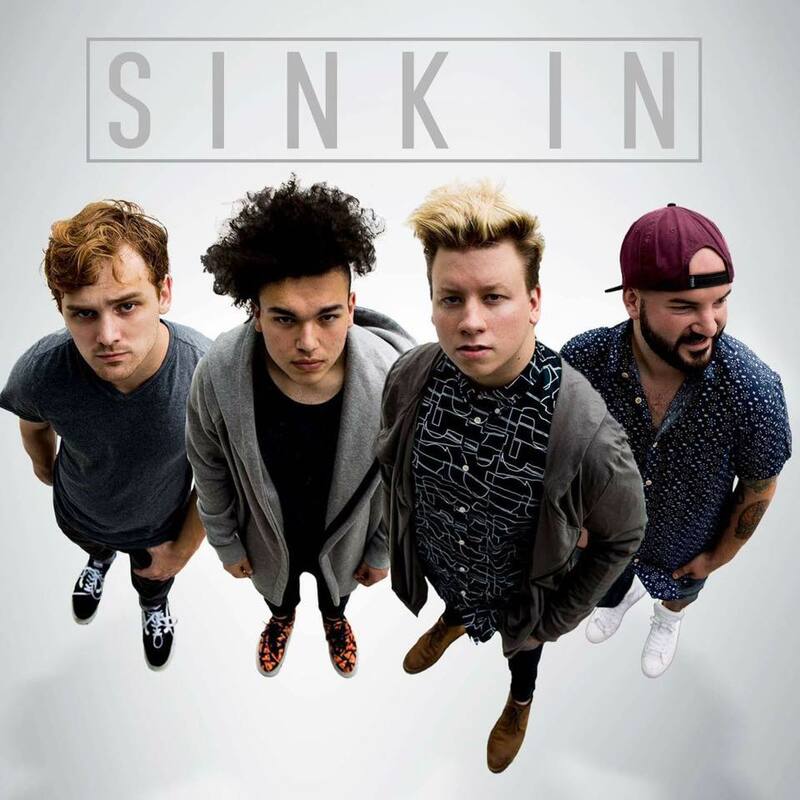 Sink In formed in early 2015 and instantly dove into an intensive touring schedule with dates spanning nationwide. Thanks to the incredible reception while on the road, the band hit the studio to record their debut release. The “Wide Eyes EP” showcases the groups’ powerfully written lyrics, precision guitar riffs, and high-energy attitude. Next Entry Contest: Win Vinyl, T-Shirt, and More from Autopilot!